How have the ulema developed in Europe. Do they serve the needs of the Muslim community? Do they understand the terrain and variegated cultures of Europe? Why did Mufti Abu Layth choose the Maliki school of law? 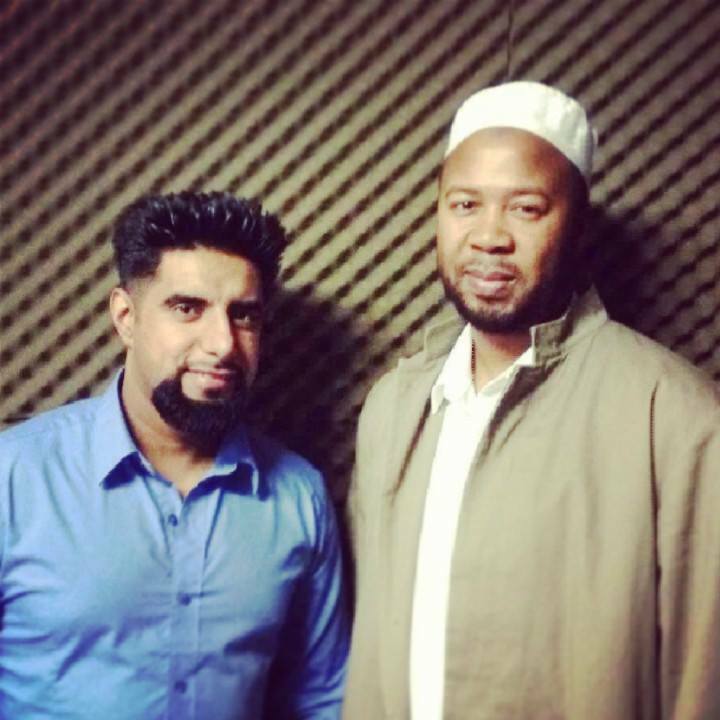 A fascinating interview with Mufti Abu Layth al-Maliki on Muslims in Europe and more. Please see his bio at the end of this interview. Question: Dear Mufti Abu Layth al-Maliki, there is now a large Muslim community in Western Europe, composed by different elements. Are you happy with the role Muslim scholars play in the diverse Muslim community of Europe? Mufti Abu Layth al-Maliki: Content, I don’t think I am content in the sense that I think there is a lot of work to be done. To be fair, I think a lot of people are going through a struggle, including the ‘ulama (scholars)themselves, in coming to terms with the challenges that people face here. Muslims in Europe are facing regular Muslim life challenges, faced wherever you are in the world, and some unique specific European problems. I think what happens is that our ‘ulama are not the homegrown organic type of Alim, they are usually people who come from a different part of the world, different country. They are not from a European culture or have not grown up into it, so they don’t know how to react or respond. So, I don’t think I am content in that sense but I think there are many people and ‘ulama doing their best. So we are all happy to see that we are supporting and trying to be a part of it. Mufti Abu Layth al-Maliki: I am not too familiar with the German scene and what is happening. I hear a lot more recently through social media about some of the great activity and the positive feeling. I get a lot of feedback from German Muslims, which shows me the level of activities taking place there, which is great. There are plenty of Madaris (pl. school) in the UK. And they produce several hundred ‘ulama every year. But it’s not just numbers that we need, we need quality. We need ‘ulama that take that true role of the ‘Alim, not just the graduate (“I have been through the system of six years study and therefore I am an Alim”).This is something great Alhamdulillah, because people are investing their time studying the Deen but that is not necessarily what we need. We need people who are in touch with reality when they come out, who can actually understand the problems and be part of the people. And that, I believe, is a great drought we have in the UK,maybe not as great as a general drought in the rest of Europe. And I agree with you, it will be very difficult to name ten ‘ulama who are really engaging proactively on the scene with contemporary Muslims of our society, otherwise it would be easy to name ten ‘ulama within the UK. You can name hundreds of ‘ulama, just saying their names, but that is not what we are talking about. We are talking about people who are proactive indigenously. Because what we seem to have, and it is not in our fault, are many ‘ulama that have such a connection with a distant culture and a distant society that they are in a dilemma. Should they be promoting that society or culture that they are in touch with, or should they be trying to engage for example with the British or the European culture, which they are facing here and now. Sometimes you get this even with the British born, and that maybe the issue in Germany as well. We have British ‘ulama who are British born but have been completely overwhelmed by the Indian sub-continent culture. You get the feeling that all they have ever done is study in a Madrasa,which is just a micro version of a little Indian or Pakistani town for over eight years. So that when they come out they are totally equipped to deal with an issue of a Pakistani model but yet they struggle to deal with issues in Britain or in Europe, because that is not what they have been trained for. Question: Today, a lot of ‘ulama are basically employees of mosques or organizations and simultaneously you have the traditional model, where the Alim is financially independent by the Awqaf (charity in accordance with Islamic law). Do you think it’s an issue for intellectual and also spiritual independence that ulama are very often paid by Muslim organizations? Mufti Abu Layth al-Maliki:I think, in my understanding, there are two incredible and extremely important factors that lead to true scholarship. One of them is an innate passion for what you are involved in. We have hundreds of ‘ulama that have been sent to a Madrasa by their parents, they have never studied because they had an interest in the Deen, they never get into it in that way. Although they remain within the Deen–they are practicing Muslims MashaAllah!, in fact they are exemplary practicing Muslims, they may be praying tahajjud (supererogatory night prayer)and practicing much other things – they never really had a passion for the sciences; like somebody who became a doctor but was never really interested in medicine. So that is the first absent ingredient. The second is independence, and this is what you have highlighted. If you do have a passion and you do have an interest, how do you not develop that interest? If you look at Maslow hierarchy of needs. People have needs. These people will have fundamental needs, they need to worry about provision; I know everything is from Allah, but this is darul asbaab(abode of means) so people need work. When you spend ten years in a Madrasa you are not qualified to do anything else. They come out not knowing what to do so they just join another Madrasa to start teaching. The problem with these institutions here within the UK, and I am assuming Europe – I know America is a bit different – they are incredibly under developed and underpaid,they are incredibly underpaid. They get paid almost pennies for a job that should really be a dignified post; somebody becomes an Imam and is not a dignified post anymore, all you get is a really poor wage and then on top of that you are worried that you might get sacked if you don’t listen to what the committee has to say. And the committee is just ordinary people, usually first generation people who are not born in the UK or Europe. They are local businessman, shop owners and people like this who just have the money to buy or rent a building and make it into a mosque. As you can see that causes the second issue. I would add another factor as well. These ‘ulama have always been quite sheltered. They have grown in a particular Madrasa and have stayed in it. Each Madrasa, each organization will usually belong to a particular denomination. The problem here is that these people a) will only be exposed to this denomination and b) they will only set roots in this denomination, when they go out and get a job and all their contacts and everybody they know is just of this denomination. You find many obstacles trying to promote free thought among these people, because that environment becomes their world. If they want to think freely and want to disagree on a matter, they can’t because that is the only world that they know. The world that they know is only these people! If you go against them you would become extremely isolated because that is the only Madrasa you have been to, that is the only place you have worked; if they all turned their backs on you,cut ties with you where would you go? So this is another crippling factor to some of the problems that we specially have here in the UK and I am assuming to some extent in the rest of Europe as well. Question: Quite often we have the case that Muslim communities ignore their ‘ulama on certain occasions.They are only brought to the public on issues like distancing or criticizing terrorism or forced marriage; things all Muslims agree are not correct. Do you have the feeling sometimes scholars are only used for certain purposes but then intentionally kept quiet for other? Mufti Abu Layth al-Maliki:I would perhaps word it as saying that from my experience (I don’t know so much about how they are used) ‘ulama are usually referred to, or engaged with, on these matters only. In the UK (if you consider it a valid example, and I am sure it goes for the rest of Europe) the majority of Muslims are from an Asian Indo-Pak background and have things like a caste system. I am not sure if you are familiar with the caste system. It is something that has Hindu roots, so if you are born into a particular caste that is your caste. Historically it is based on professions. So if somebody is born into a landowner’s caste he will always stay a landowner even if he doesn’t own land anymore but he is that caste. Then you have low caste and so on. Now these people still have this today and they discriminate based on this. So we are all Pakistani originally but people will say – “Oh no, he is of a low caste, you can’t marry into that family”. Some ‘ulama do speak out and condemn these things but in general they don’t. There isn’t “a hype” about condemning it. You would imagine that there would be, but there isn’t. Is that because the ‘ulama feel “if I start going on about that people would not listen to me any more and I need these people”? Or they think, “If I say something people won’t listen to me anyway”? So it could be that or it could be many other reasons, I am not sure. I feel people don’t resort to ‘ulama in all their issues but they pick and choose. So they would go to ‘ulama to condemn terrorism obviously, and they will but they won’t go to them to condemn or even highlight other things. But we have other issues here. The ‘ulama and Muslims in general within the UK and probably identical in Europe are not very articulate when it comes to the national language. Even Muslims who are British-born usually have a very poor command of English. The ‘ulama quite often unfortunately have a very poor command of English because they probably spent a third of their lives in a Madrasa speaking Urdu and therefore often they find it difficult to express themselves. Firstly that is a problem and secondly the regular Muslim out there doesn’t want to see them as their leaders or representatives because they are almost embarrassing. Ok sometime you have a non-British born and he can be excused because he has only been here for two or three years and that is why he speaks English like he does. But when you have people who are born and raised here and they still speak poor English. When there is a crisis or there is an issue and you need ‘ulama to speak out on TV or on the radio or give interviews, if they can’t express themselves properly, it does become quite embarrassing for Muslims out there. Mufti Abu Layth al-Maliki:Absolutely they can’t make dawah! Not only do they struggle in making dawah but even those who are already Muslims want to disassociate themselves because they feel that this is just an embarrassment. Like –“Damn! Is that guy representing me?”. And the irony is that historically in the Muslim world, if you go into the Arab world or the Indo-Pak world and I am assuming if you go to Turkey or wherever, the ‘ulama are usually the most articulate. So the ulama in the Arab-world would have the best Arabic and the ‘ulama in Pakistan usually speak the best Urdu. And they compose poetry. And it is amazing, because speech is incredibly powerful and (quotes Quran in Arabic) “you call to the way of your Lord”, isn’t it? And you do so with words. The irony is in the UK or in Europe you find sometimes that they have the least ability to express themselves. It is almost a one hundred and eighty degree turn. Question: Mufti Abu Layth, if I may ask you, you are teaching the fiqh of Medina, why did you choose it,what was your fascination with it? Mufti Abu Layth al-Maliki:I think that is an amazing and interesting question and a significant one. I have been asked this on many occasions. “Why did you choose the Maliki Fiqh, the school of Medina, and not only why you chose it since it’s up to you, but why are you a bit passionate about trying to teach this within the UK and Europe and trying to get this more out there?” And the reason why I am doing that, and that is part of my dream, is if I could feel I served any role in establishing the school of Medina on European soil or played a tiny role in it, I would feel that, Alhamdulillah,I have achieved a great success in my life. If Islam is a substance or an essence and everybody is looking into it or rather out to it through a window or a lens, which will always have a taint or some type of pigment, it will give some kind of color to what you are looking at. Now schools of law are like this, some schools of law look at Islam in their own way. They already have an understanding before they approach the text. It’s almost like a personality you are dealing with. We respect all schools of law and they are all amazing and they are incredible in their own way however sometimes interpretation, which they all have, whether it’s the school of Iraq, the school of Imam Shafi’i that, like all schools, have interpretations, is not always necessarily Islam. It doesn’t mean necessarily that Islam is confined and restricted to just this interpretation. The problem maybe that some interpretations and some ways of looking at things are perhaps better suited for certain cultures. When we look at some schools of law we find that they are very controlling. They don’t encourage regular people to engage in open or free thought. There is a very control-like mechanism, “nobody is allowed to do this,you must only go through this” and they are very strict in certain interpretations too. As an example, if they had choice they will always go about it with caution, with strictness. It’s like their configuration settings are set at being quite strict. I am not judging that, I am not saying that is bad, but rather that I don’t feel that that is the most conductive settings for Europe today. Yes! But they are thinking, “We are preserving the Deen”,but what they don’t realize is that the Deen is much greater than that. That is just one interpretation of the Deen. And the other windows are much clearer for our environment. They give people freedoms. I have nothing against things like zoubs (robes) and Shalwar Khamis (traditional Pakistani clothing) and I at times do wear them but regular Muslims growing up in Europe don’t always want to wear them. People are imposing this as part of their Fiqh. Although it’s attracting some people it’s driving away many others. The school of Medina has this big pole on being natural, on being very comfortable with your settings.It is a school of thought that is not controlling, gives freedoms and there are so many differences within the school and they allow it all. It is more about welcoming as oppose to frightening people away. And for some people it seems this is too relaxed or too chilled out, but the reality is that this is exactly what we people, Muslims or even non-Muslims, want and through this window they will be able to access a message that they are very comfortable with. If the message caters for that then “why not?” . The Hadith (narration of a saying by the Prophet) says: (Quotes Arabic) “Speak to people in accordance with their ability, their capability.” (Quotes Arabic) “Would you want that Allah and His Messenger are denied because of what you are saying (to a person)?” And this happens often. You have people that would struggle with some fatawah (pl.legal opinion or learned interpretation) in Fiqh and yet the ulama would not relent for them, they would not be accommodating for these people; consequently you would see that these people would just disassociate themselves with the entire Deen. When in reality that was just simple fatwa, it was not a clear verse of the Quran or a clear Sari (Unambiguous) Hadith. It was just a Fatwa, which was based on ijtihad , there are many other fatawa in the Shari’a and you could have accommodated if you wanted. But the reality is that because you chose not to accommodate and this person ended up leaving the Deen. Question: Today is presented to us with quite a fragmentation in the Muslim identity. Radicalism and esotericism are both extremes of the infinite opinions. What would be a way to a unified position given perhaps certain priorities and certain rules in thinking and arguing? Mufti Abu Layth al-Maliki:I think that is a very good question. I have said to people that we need to keep a link with our heritage; our ‘ilmi (knowledge) heritage and this link will be kept via the ‘ulama. We need to reacquaint our selves with the sciences; we need to always keep classical thought and understanding at the forefront. If they never said a fatwa we needed today or we can’t find it with them and we don’t know where to go, we keep their thought and their thought process, the way they thought and understood the Sunna (practice o the Prophet) because the Sunna (practice of the Prophet) teaches you to deal with every day and age. Sometimes, I have been accused of being a modernist, so I asked them: “what is so modernist about me?”Apart from looking at my attire, looking at the clothes I am wearing, somebody looking at me might think. “Oh well, he doesn’t wear an imama (turban) or a zoub(robe) therefore he must be a modernist”. That is not what we philosophically call modernism. Modernism is a crime made to rejecting traditional thought when it is said “let’s start from scratch today” or “we don’t need to know what Imam Malik said or to know about him” or “the Sunna isn’t so relevant today”. Saying “we are going to make our Fiqh and Shari’a with the resources we have today “. True classicism would be to keep classical thought at the forefront, and we, as Muslims, need to do that. We need to have the Quran, the Sunna and the Shari’a. Our sciences need to be incredibly important to us. But our sciences should also teach us and equip us to deal with our situation in our day and age just how it taught Imam Malik to deal with his situation in his day and age and it taught people like Ibn Abdulbarr or Ibn Rushd or Qadi Iyad or people afterwards like Sidi Khalil. It taught people in their day and age to deal with their own situations and that is what it should be teaching us too. I say that it is very important that we have a link with the ulama but with ‘ilm as well. I think that we need to reacquaint ourselves with our heritage and I guarantee to people that anybody who does start to study the Islamic sciences or study the era of the Prophet (sallaAllahu ‘alaihi wa sallam), the Sahaba,the Taba’in, the Salaf, the Imams and the usul(the principles); will see this way of free thinking and being open in thought with the Salaf. You will find Imam Malik to be very revolutionary in his thought, just as Imam Abu Hanifa or Imam Ash-Shafi’i or the Salaf who went before them. So as an answer to your question, which is terribly important, I completely disagree, I strongly disagree with people that would call to renouncing our heritage, to me that is our artery. To sever the artery would mean a sure demise of this Umma. It would mean that we would wither away and die, if we cut or sever our heritage. Something we should definitely be working to cultivate is to bring to life these personalities, to understand who they were. Because we understand the Deen to be like a baton that is being passed down. We have an unbroken chain of this Deen being handed down to us. When I say we should keep the classical thought, am I calling to anything different or am I highlighting anything different? I am in the sense that we need to know that the Deen teaches us to engage with now and here. The classical thought at the forefront of our minds to use it to deal with our day and age. Yes, we do look at things like maqasid (aims in the Shari’a), we understand that the Shari’a has objective and we try to grasp it but at the same time we don’t say, “Oh the Sharia is Maqasid and therefore its ok we don’t need to do salat anymore we can do dhikr”, we don’t go trigger happy with this thing of maqasid. It’s more about saying –“the Deen does have principles and it has usul (foundations),it has objectives, it has goals so let’s deal with our day an age accordingly”-. And I’ll tell you something else, when I said studying our heritage is so important is because we would see live examples of this happening now. So we would see the ‘ulama of Al-Andalus. We have such a rich heritage, and this is another reason why I promote the school of Medina because it had this existence for at least seven if not eight centuries on European soil, and the ‘ulama engaged with their societies and catered for their societies and when we see that it would give us confidence to do the same thing. Question: There is a famous statement of Imam Malik; “knowledge is something which Allah puts in the hearts”. What would your reflections be on this aspect of knowledge? Mufti Abu Layth al-Maliki:Absolutely, I think these are amazing statements we have from the Imams.Notably where Imam Malik said (quotes Arabic) “’ilm is not just this type of quantitative reiteration of information; rather it is a light which Allah places in the heart of one of you”. Now this could be understood in two ways. First as knowledge is a special Noor that Allah puts in your heart therefore you have a munawarin (enlighten)heart. Secondly, what I am more inclined with, that ‘ilm is enlightenment, an intellectual enlightenment, not just being able to regurgitate information. When you look at Piagetian thought you find that basically people go through four stages of cognitive development so that an adult is not just a child with more information. So for example an eighteen year old is not just a ten year old with just eight more years of information but rather that that eighteen year old has gone through a qualitative, not just a quantitative development. This is what in my understanding Imam Malik was referring to. He said that this ‘ilm is not just being able to sit down and regurgitate like a database it is a way of thinking. It is an intellectually enlightened outlook, which Allah grants to people, it’s a gift from Allah. And this is one of the greatest things people should be trying to achieve, trying to work towards. It is from Allah. andAnybody that studies the Shari’a will see this type of intellectual enlightenment present but sometimes we just learn it for what it is, without aspiring to become like them. So to conclude, I believe that those statements are amazing, coming from the Imams. ‘Ilm is pragmatic, is something which is practical. People say “’ilm is ‘amal”, well, I have a slightly different outlook to what they mean by that. One way of looking at this is, “now that you have the ‘Ilm you should be doing naffaal (extra acts of worship), you know certain things are good but you are not doing them”. People seem to popularize that ‘ilm means you should have ‘amal. Yes it means that as well but the way I understand it is that you would practically engage with the challenges and the issues of your age with that ‘ilm, that you put it into that type of ‘amal. It means that it has a reality to it, which is not just something like theories that you know and are correct and you lock them away and that’s it. Rather you engage, so it is more than (in my understanding) just saying ibadat, “you know that praying these rakats in this certain time is so rewarding why are you not doing it”. In my understanding the amal aspect is greater than that, because everybody knows doing ibadat is a good thing, whether they know the jusi-at(particular aspects) or not. So to some extent everybody is equal, although the ulama may have a greater detail on the masa-il (different matters raised in Fiqh) but everybody knows doing bad things is wrong and doing good things is rewarding. So that is not what I understand when people say ’ilm should have ‘amal, I understand it to mean that it should have engagement. Bio of Mufti Abu Layth al-Maliki: He carried out preliminary Arabic and Islamic Studies as a teenager in the UK before going to Damascus, Syria, where he adopted the Maliki madhhab and studied the essential elementary sciences of Islam. He then went on to memorize the Qur’an along with Tafsir at the Jami`ah Muhammadiyyah Institute in Islamabad, Pakistan. Mufti Abu Layth returned to Syria to recite the entire Qur’an to Shaykh `Abdu’l-Haadi at-Tabbaa’ (ra) and was authorised to teach with an ijazah and chain of transmission (isnad) going back to the Messenger of Allah (SAW). After gaining his ijazah, the Mufti completed the (Dars-e-Nizami) Alim Course at the renowned Jami`ah Binnoria in Karachi, Pakistan, where he graduated first class in various Islamic Sciences ranging from Tafsir, Hadith, Usul, Comparative Fiqh, Arabic Literature, Arabic Grammar, history and Aqidah. In his final year (Dawrah Hadith) he studied and completed the major books of Hadith (Muwatta, Bukhari, Muslim, Tarmidhi,Abu Dawud, Nasai, Ibn Majah & Sharh Ma’ani aathar)and was authorised to teach them with an unbroken chain to their authors. Mufti Abu Layth then completed the Mufti Course (a 2 yr training course in how to issue Fatwa) at the same institute specialising further in Fiqh across the various madhhabs. His training was under the supervision of various renomwed scholars including Mufti Abdullah Shoukat (who is a key student of Mufti Taqi Usmani) for Hanafi Fiqh, and Mufti Salim Al-Tunisi (A Maliki Mufti resident in Jamia Binnoria). Since his return to the UK, he has completed his Masters degree (M.Ed), he then went on to complete a degree in Psychology (B.Sc).